Hoping to consolidate the link between Heineken and ARCO and —futhermore— to do so in a special way, we proposed a collaborative triangle: Todd Selby, four recognized artists and an object to be transformed. The brand’s iconic bottle served as our starting point: what would Chema Madoz, Secundino Hernández, Mateo Maté and Juan de Sande do with it? And, above all, how would they do it? To discover the process behind each body of work, Todd Selby lent us his unique perspective: together with his camera, he accompanied the creators to their own spaces and captured those initial moments in which inspiration arises. An artist observing others and a spectacular result: four different bottles that were presented at the contemporary art fair and that time has turned into collector's pieces. 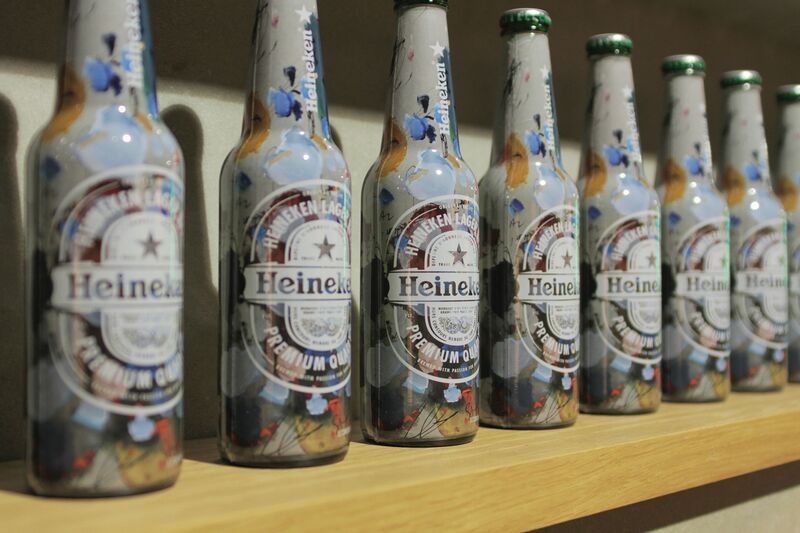 "My Heineken is a tribute to the objects that appear in my study and end up being involved in the work", stated Hernandez Secundino, who decorated his bottle with the casual stroke that characterizes him. Juan de Sande used the same chromatic spectrum applied to his photographs and Chema Madoz opted for a conceptual approach: "The object, the bottle of Heineken, has a double reading: deconstruction (rupture) and construction (mosaic / puzzle); it evokes something that is broken at the same time as it is composed ". 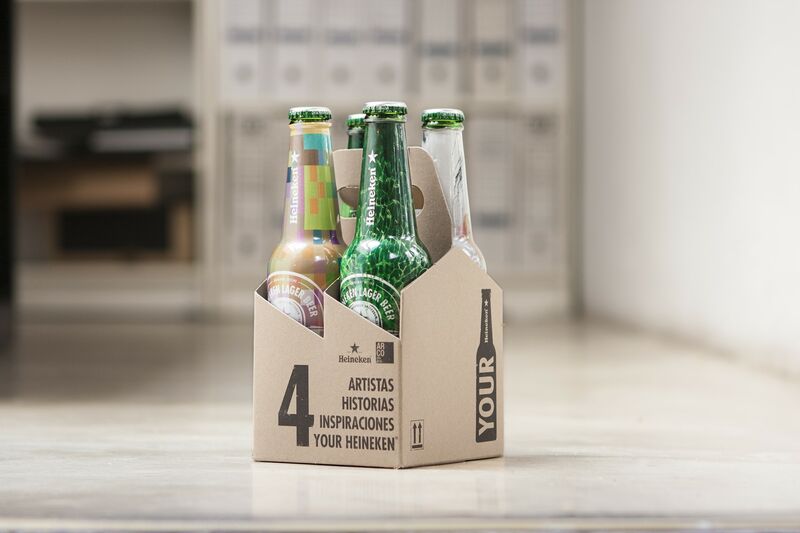 On his part, Mateo Maté played with the classic idea of ​​the message in the bottle: "An artist who participates in the fair (me) sends a message and asks his hypothetical audience to stay and invite him to a beer... a Heineken» . Already at ARCO, the brand’s area was conceived as an artistic multiplatform, with sections intended to replicate the places in which our protagonists developed their designs. Visitors were able to enjoy both the limited edition of the bottle and the visual experience recorded by Todd. The project drew lots of attention due to its singularity and appealing narrative: several phases, a coherent thread and a perfect culmination.